Police have confirmed that a 72-year-old man and a 15-year-old boy died after a train struck their car at Barns Green level crossing this morning. 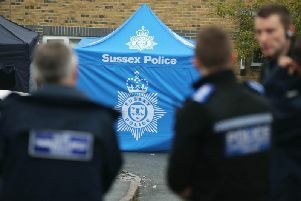 Officers were called to the scene at 8.47am were the two were sadly pronounced dead, a spokesman said. Detective Inspector Brett Walker from BTP said: “This is an extremely tragic incident and our thoughts are with the family at this difficult time. “Our officers have been working at the scene, and will continue to do so for the rest of the day, to ensure we gain as much information about how the collision happened. “People should expect some disruption to services in the area while we investigate. “I would like to thank the community in Barns Green for their support and patience. Transport police urge anyone with information to get in touch.